Over the past six months, it had become apparent that the quiet Patel was increasingly at loggerheads with the Finance Ministry and, unexpectedly, he was sticking to his guns and refusing to be cowed by the Finance Ministry. Urjit Patel, Reserve Bank of India governor, finally put in his papers. While his short, terse resignation released to the press cites "personal reasons", few are buying that line. After all, the deterioration of his professional relationship with the union government and the union finance ministry has been well documented and discussed and commented on in the past few months. Urjit Patel's predecessor Raghuram Rajan had also fallen foul of the government and even the RSS economic think tanks. The sniping at him had continued for some time before he abruptly announced that he would be leaving at the end of his term. He always spoke his mind - and perhaps the government did not like that. So they made it fairly clear that he would not get a second term or an extension. When Urjit Patel was announced as his successor, it was widely thought that he would be a person who would get along better with the Finance Minister and the Finance Ministry mandarins than Rajan did. Urjit had earlier had a stint in Gujarat working with the government and had interacted with some of the bureaucrats in the current finance ministry. He was also reticent to fault - quite the opposite of Rajan, who was never short of opinions or afraid to voice them. Though, I had pointed out in another context, when he took charge that he was even more of an inflation hawk than Rajan. When demonetisation of specified high value notes was announced abruptly though there weren't enough new currency notes in the system and there were multiple other logistical hurdles to the smooth exercise, it was Patel who took the flak for the shoddy implementation though it was clear to all that it was hardly the RBI's decision. It was a political announcement and the RBI went along with it despite misgivings. Never a man to speak much, Patel maintained a stoic silence throughout demonetisation, allowing Finance Ministry officials such as Shaktikanta Das to do the talking. Patel's shouldering of the blame for the demonetisation mess only cemented the opinion that he was a pliable governor who would do the government's bidding at all times without protesting. But over the past six months, it had become apparent that the quiet Patel was increasingly at loggerheads with the Finance Ministry and, unexpectedly, he was sticking to his guns and refusing to be cowed by the Finance Ministry. The reasons for the disagreements were many - from interest rate setting (the government wanted a lower interest rate, the RBI was being cautious about that), to allowing indebted power sector companies a leeway instead of forcing banks to take them to the bankruptcy court. And from bailing out SMEs with a loan mela to going soft on Public Sector Banks that were under prompt corrective action (PCA). Finally the government wanted the RBI to part with a third of its reserves - which the central bank refused. The government in turn decided to pack the RBI board with its own nominees, who were vocal about their disagreements with the RBI governor and his deputy governors. Both sides had sniped at each other at different points. The Finance Ministry had hinted that the RBI was lax in not preventing the Nirav Modi and Mehul Choksi fraud at PNB. 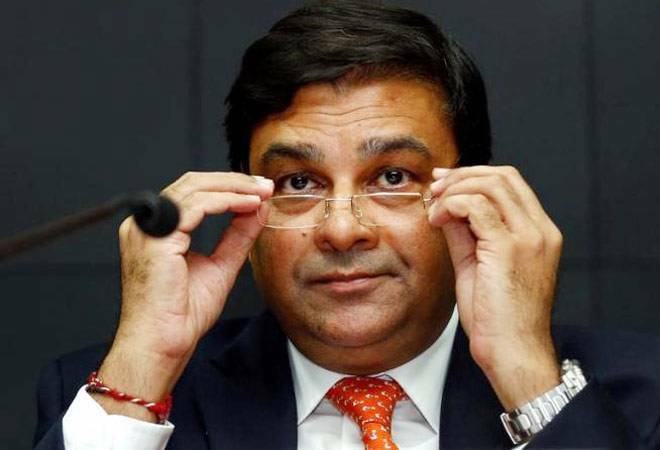 That was one of the few times Urjit Patel actually spoke up - in an address, he said that the RBI did not enjoy the same powers to pull up public sector banks as it did private sector banks. When the disagreements between the central bank and the government had reached epic proportions a couple of months ago, Patel did not speak but the eloquent deputy governor Viral Acharya gave a speech beseeching the government not to infringe on the central bank's autonomy or domain. Few had any doubts then that it was actually Patel's thoughts verbalised by Acharya, his protege. The government will no doubt find itself another RBI governor and it will hope that this one will be someone who is perhaps more in tune with finance ministry thinking. That might not be a bad thing but it is actually a two way street. The RBI governor does need to understand the government's many pressures. Equally, the finance ministry should also listen to the RBI governor and allow him to take a reasoned decision on his own instead of putting pressure on him to do its bidding. The other thing the government needs to worry about is its HR problems in recent times. There have been too many respected economists who have quit abruptly - from Arvind Subramanian to Arvind Panagariya. And in the case of RBI governor, to paraphrase Oscar Wilde, losing one governor is misfortune. Losing two seems like carelessness.